In all fairness to tech innovation, 3D printers are not only one of the most useful inventions made in recent times but also one of the most fun and engaging thing ever made. And the ability to compress all of the tech into a pen is even more exciting. This pen allows expressing your creativity in a way you never imagined it all you have to know is how to use it. Just like you have to learn how to use a magic wand before you cast spells, you have to learn how to use this pen before you decide to make your imagination into a 3D reality. If you are a beginner and want to learn everything about the working of a 3D pen here is a guide for you telling you how to. 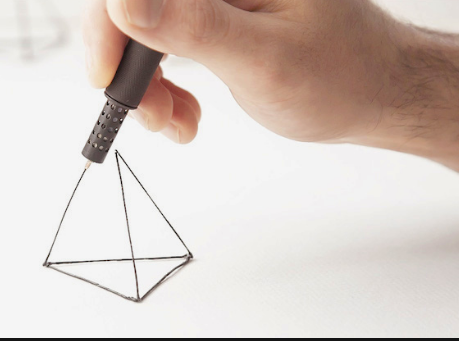 3D printing pen works by melting thin plastic filaments and pushing out the molten plastic through and extruded tip so that you can set it as per your requirement. 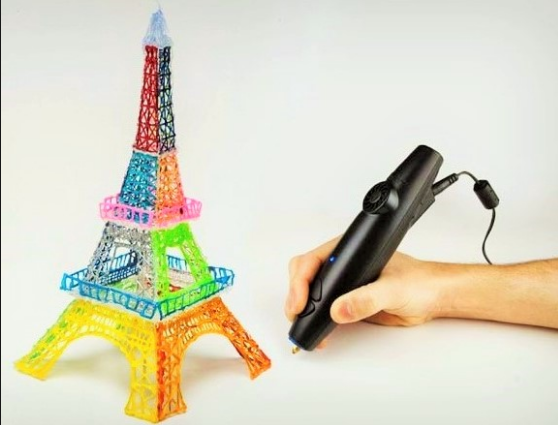 Just think of a hot glue gun that is almost exactly how a 3D printing pen works. The internal surface of the pen is heated till it exceeds the melting point of the plastic filament and then an electronic propeller propels it out of the opening before the plastic solidifies again. Once you learn to use it effectively your imagination becomes the boundary. You can create anything with the molten material by setting it according to your needs and you can follow different approaches to do so. How to Set Up the Pen? To kickstart this super interesting experience you have to start off by setting up the pen. Insert the plastic filament into the pen. Ensure the plastic is of a good quality and free of impurities. Also, ensure that it is smoothed out so that its flow is not obstructed while working due to friction. Once that is done you have press the button so that it dispenses the plastic. You have to adjust the speed so that it releases the point at the right speed. So to design a 3D object you start off by creating the various two-dimensional faces of the object. Chose a clean, smooth and even surface, Once you have chosen the base surface you place a surface on top of it which can be anything like say wax paper or a solid rubber sheet-you just have to ensure that the design won’t stick to the surface. Create a focal point by extruding a small amount of product on to the surface this would be the pinpoint for you to drag and draw your sketch form. Now as you have created the focal point you slowly drag the pen across the surface while continuously holding it close to it. The hotter the plastic the better the chance of it adhering to the surface. Continue this processes till you acquire the required shape and let it set for a short time. Once the plastic has settled in the required shape you can slowly peel it off the paper but while doing so please be gentle. To soften the edges you can slightly heat up the rugged edges to reset the plastic and give the product a better finish. Set the temperature to just above the melting point for your filament (320 °F/160°C for PLA, 225°F/106°C for ABS). This will partially remelt the plastic and soften up the edges. Ones you are done with creating the 2D elements you can start assembling them to get the required outcome. You are supposed to assemble the parts length or breadth wise and then create a connection between them by adding a new streak of plastic or by just melting the edges a little so that they stick to gather. It is suggested that you follow the former over the later because it ensures a better strength and longevity to the 3D structure. Once you are done assembling them give them some external support for a while so that get perfectly set in their place. Now, there you go! You are ready with your creation. Even though it might sound it is a little taxing at the beginning and requires regular practice to master. Eventually as you get well acquainted with the technique of using this pen you can create 3D sketches in the air directly without creating 2D subparts. You can further even use this pen to improvise on preexisting objects and modify them as per your will. A 21 Years Old Guy Who is Blogger and Digital Marketer by Choice and Student of Chemical Engineer By Chance. He is Computer and Internet Geek Person Who Loves To Do Something New Every Day. He is running many blogs among them My Study Corner is his main blog.